The potential to meet the needs has driven Chhaperia to stand at world-class. In the top list of immersion heating elements manufacturers in India, we stand out with our quality deliverables. The industries have built trust on us after utilizing our services. The supportive nature of clients is the angle of elevation for us. Each time we introduce the product either after analyzing the need or as required by the customer. 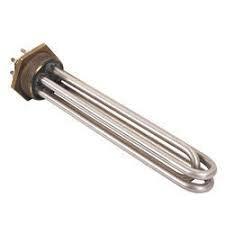 We design and manufacture standard as well as customized heaters and heating elements. Contaminating the process with chemicals may be critical. Sludge forming insulates the heater and results in premature failure. The excess temperature may decrease the lifespan of the heater. Regular maintenance prevents the heater from corrosion and scale buildup. As one of the leading immersion heating elements manufacturers in India, Chhaperia has proved itself by being in the ring of competition and advanced level by level in the industry. The complete manufacturing process involves testing process as well.